We've become used to SilverStone keeping our hardware cool in its range of high airflow and uniquely designed cases, but it's now added a new range of CPU coolers to its fairly small existing line-up. With us today is the £25 Argon AR01, based on a single 120mm fan design, but a similarly priced 92mm fan-based model (the AR02) and a beefier 120mm model (the AR03) are also being launched. The AR01 is decently priced, but still finds itself up against competition from the likes of the Arctic Freezer i30 and the Gelid Tranquillo Rev. 2. 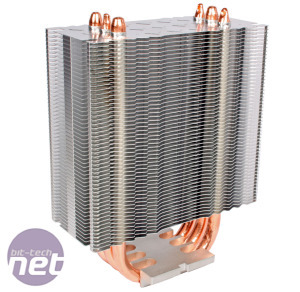 The AR01 consists of three 8mm copper heat pipes that make direct contact with the CPU. 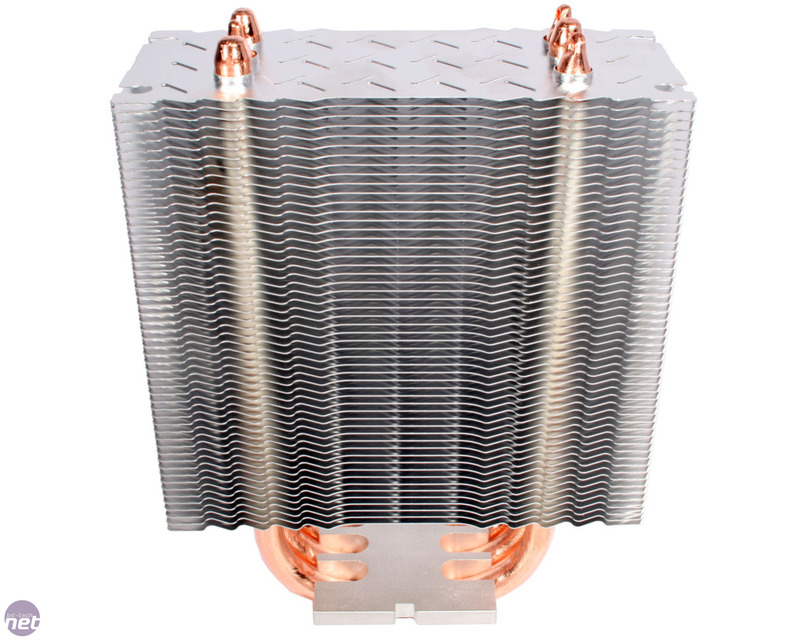 While this should have benefits for rapid heat transfer, it does mean that the surface of the heatsink that makes contact with your processor isn't completely flat. 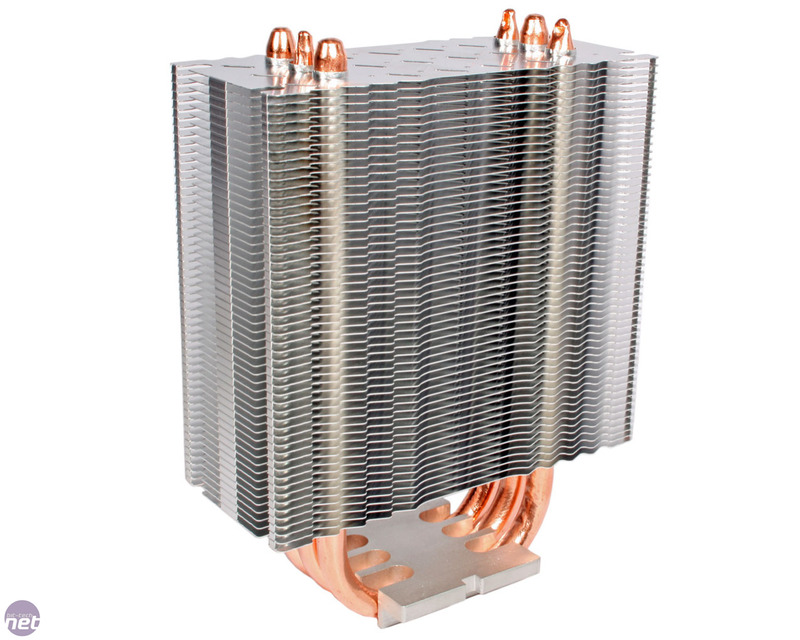 These three heat pipes each travel up through a dense set of shaped aluminium fins. 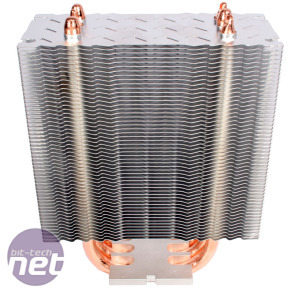 The heatsink measures just 159mm tall, so most ATX cases should be able to house it, while its width of only 50mm means that RAM compatibility shouldn't be a concern either. The thin aluminium used for the fins and relatively small dimensions mean that the AR01 is also nice and light, so minimal strain will be placed on your motherboard. 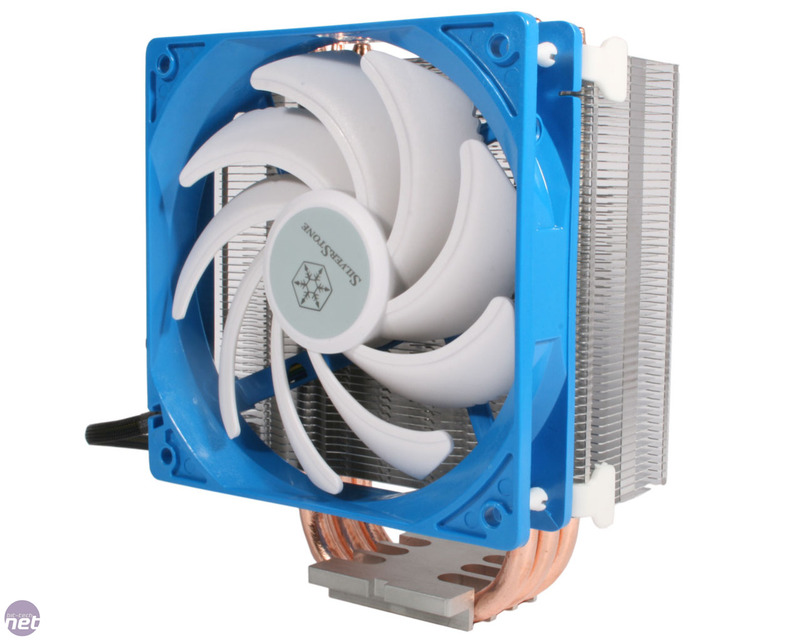 SilverStone supplies a single 120mm Hypro bearing fan with the AR01. It's PWM enabled, so compatible motherboards can be used to control its fan speed, and the black cable is braided to a very high quality. 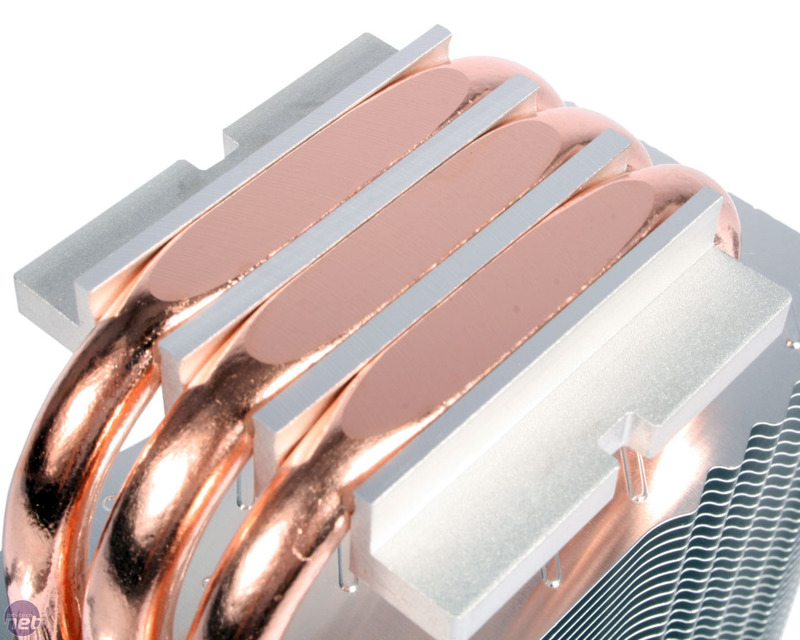 The fan itself features nine sharply angled blades for shifting air, and mounts to the cooler via four fully rubber anti-vibration mounts that slot in between the heatsink fins. 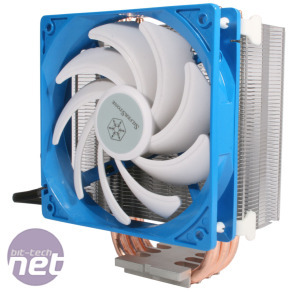 The symmetrical design of the cooler and extra supplied fan mounts mean a second 120mm fan could also be added. The blue and white colour scheme naturally won't satisfy everyone, and we do wish more companies would take a leaf out of Phateks' book by offering coolers of varying colours. 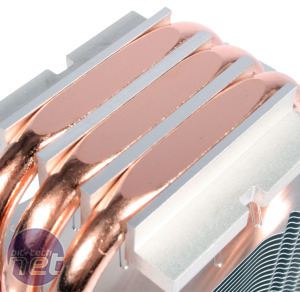 Nevertheless, SilverStone's aesthetic choice is likely to hold more appeal than that of Thermalright or Noctua, for example, while for many users it won't matter in the slightest. For sockets other than LGA2011, a universal metal backplate is supplied, into which you'll need to screw four standoff screws (LGA2011 users can screw these directly into the motherboard). The holes for these standoffs aren't labelled by socket on the backplate, however, so it's tricky to find the correct alignment straight away. A pair of mounting plates are then attached to the standoffs with nuts, and the construction of this mounting mechanism requires no more than your hands. A generic plastic sachet of grey goo is also supplied, with enough thermal paste in for a few remounts. 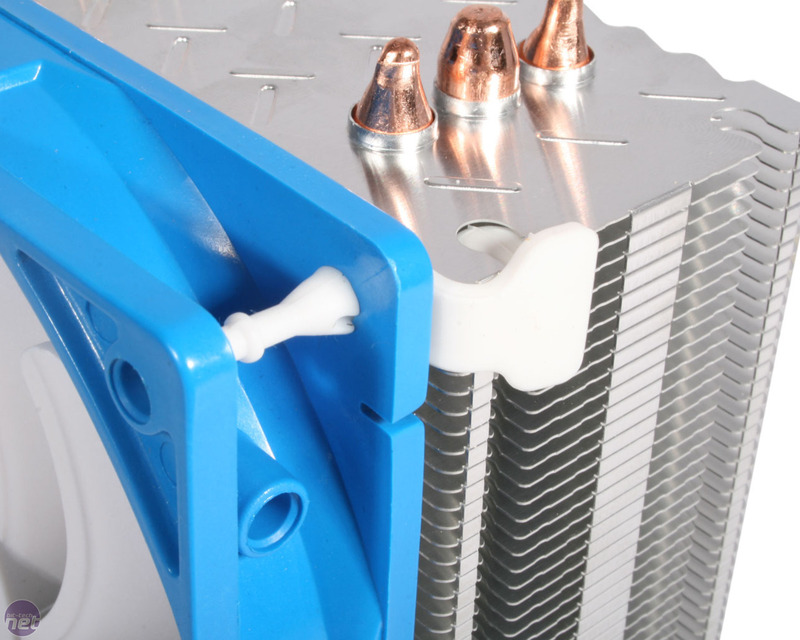 The cooler itself is mounted via a metal bar that lies across the baseplate and is secured to the mounting plates via another set of nuts, which can be tightened with a screwdriver. Encouragingly, this direct pressure on the cooler's baseplate means the mount pressure is very high. With the heatsink in place, all that's left is to attach the fan. While this can be a little fiddly inside a chassis, the rubber mounts are much easier to use than the majority of loose and flimsy fan clips we've seen in our time, and all in all the installation procedure is straightforward and very secure.